GMS’s new generation Sierra 1500 has been introduced already, but essentially, we haven’t seen the base model so far. 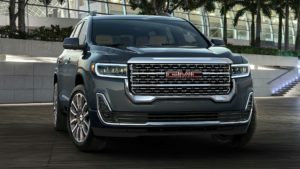 In case you’ve forgotten, the manufacturer presented the topping Denali trim first and after that the more modest and cheaper SLE. In the meantime, we’ve seen the off-road oriented AT4, yet never the starting option. Well, ladies and gentlemen, this is how it will look like the entry-level 2019 GMC Sierra 1500 truck. 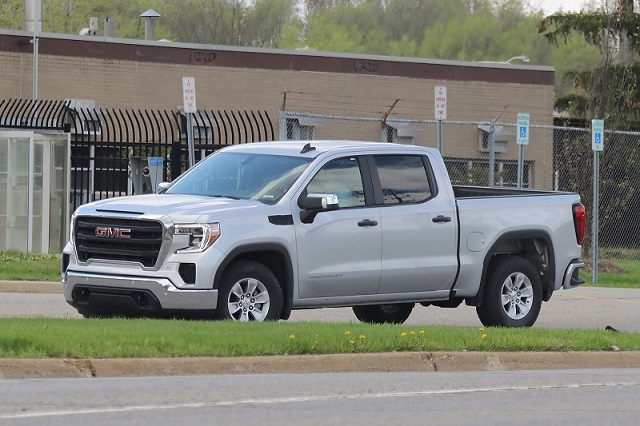 The basic trim has no badge anywhere across the exterior, which means that we have to call it the entry-level 2019 GMC Sierra 1500. However, the name is not as important as the features that the cheapest new-generation pickup offers. As you can see, you won’t find too much chrome here. Instead, the manufacturer used plastic for grille inserts, fender vents, window trim, and door handles. 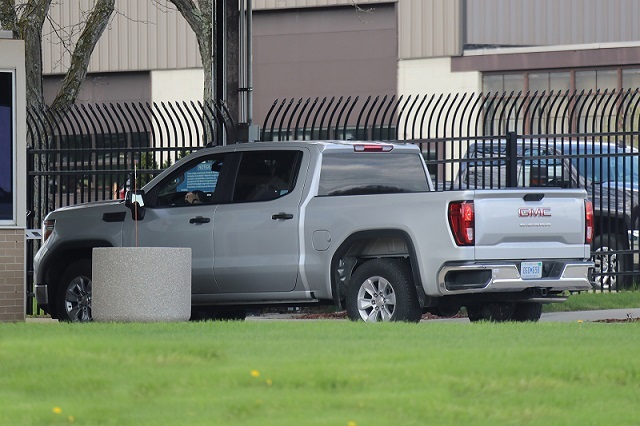 In contrast to the deluxe Denali model which has the carbon fiber bed and trick tailgate, the entry-level 2019 GMC Sierra 1500 gets a steel bed and a single panel tailgate. 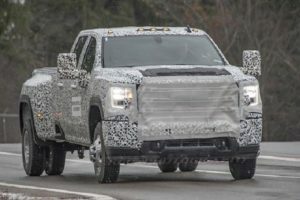 Even though the prototype has no badge, the base new-gen GMC Sierra 1500 pickup truck will likely rely on either a 5.3-liter V8 or a 4.3-liter V6. Though it’s important to say that the carmaker hasn’t mentioned the gasoline V6 engine when the truck was officially introduced, so the less potent V8 seems like the most logical option. In any case, the manufacturer has not released any pricing information, so we still have no idea how much money is going to cost the entry-level 2019 GMC Sierra 1500 with plastic details all around.